The latest WordPress update is finally here – and it’s a big one. WordPress 5.0 brings a number of changes, but none is more significant than the new block editor, which you might also know as Gutenberg (its name while under development). 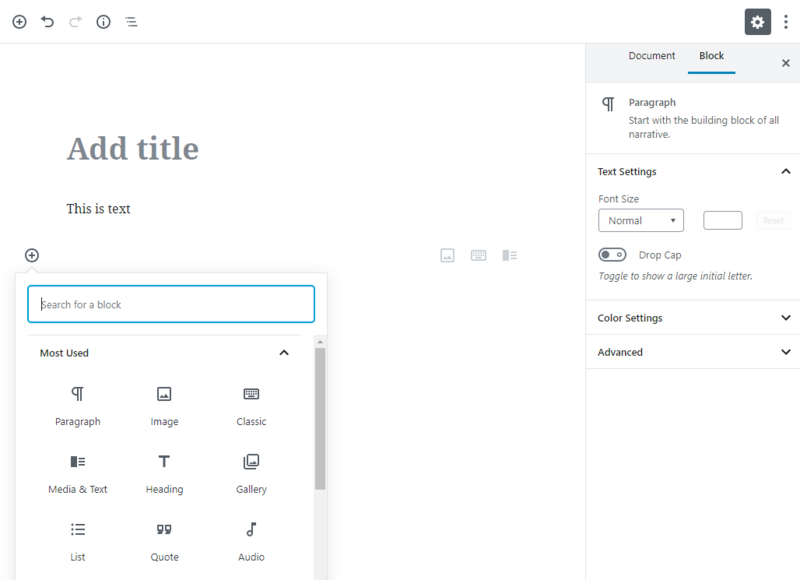 If you don’t like the new editing experience in WordPress 5.0, you might be wondering if you can return to the previous WordPress editor instead. While you don’t want to miss this update altogether, it is possible to avoid the new editor itself. This involves installing the Classic Editor plugin, which will preserve the experience you’re used to. You just need to decide whether this is the right move for your site, which is something we can help you out with. In this post, we’re going to discuss the pros and cons of disabling the new WordPress editor. We’ll also show you how to bring back the previous WordPress editor if you’d like. Let’s get to work! There’s been a lot of noise surrounding this latest WordPress update, and for good reason. Typically, even major WordPress updates make changes slowly, rather than introducing radical new additions. However, WordPress 5.0 brings with it a complete redesign of the editor we all use to create posts, pages, and other content types. It’s a drag-and-drop system, based around building content from pre-created blocks. If this is all new to you, we’d suggest checking out our introduction to the new editor, and reading up on how its blocks system works. We also have a detailed block editor guide here, if you’ve been struggling with how to get the most from the new editor. For now, let’s move on to the pressing concern on many people’s minds. WordPress 5.0 is now officially released. This means if you update your site to the latest version, the previous WordPress editor you’re familiar with will have been replaced. The block editor is an intriguing system, but it’s also generated a lot of criticism. As such, some people would prefer not to use it at all. That’s actually easy to do, using a dedicated plugin created by the core WordPress team (more on this later). Ultimately, it’s up to you to decide whether or not the new editor is the right fit for your site. This isn’t a simple choice, unfortunately. However, there are a number of factors you can consider that should help you make up your mind. It can be a more intuitive content creation system, especially if you like the blocks-based model. You also get a clearer visual picture of what your content will look like. This saves you from having to endlessly preview it on the front end. You will get some features not part of the previous WordPress editor. This includes buttons, tables, and columns. If you don’t already use plugins to provide this functionality, the new editor can be a simple way to expand your options. The block editor is a part of the WordPress platform now, and is the ‘new normal’. This means moving forward, new updates, themes, and plugins of all types will build on it and be based around using it. 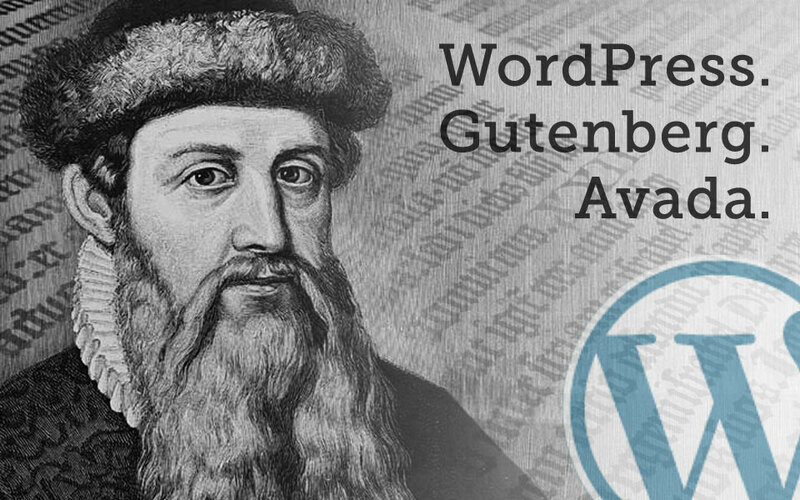 If you want to ‘future proof’ your site and get access to the latest tools, you won’t be able to avoid Gutenberg forever. If you already use a page builder tool to create content, it could be a lot more comprehensive than the new editor. Therefore, using it could feel like a downgrade. Plus, you may find it difficult to create new content consistent with your older content. While many plugin and theme developers have been working hard to get ready for the new editor, the simple truth is it may not be compatible with the other tools you’re using on your site. This is particularly true if you have any plugins that alter the editor’s functionally in some way. The goal of the block editor may be to make editing content more intuitive. However, some people find it overly-complicated and ‘busy’. If you prefer a simple editing experience, where you can just write freely without the need to place every part of your page or post into a separate block, the new editor may be frustrating to use. Ultimately, both sets of arguments have merit. You’ll need to make your decision based on which one speaks louder to you on a personal level. If you decide you’re happy to start using the new editor, simply install the latest update. We do still recommend testing out the editor on a staging version of your site first. This will help you determine if there are any compatibility issues or other errors to worry about. Alternately, if you simply don’t like the block editor or you’re not yet ready to take the plunge, don’t worry. It’s surprisingly easy to keep using the previous WordPress editor instead. Additionally, the WordPress core team will continue to support the previous WordPress editor until at least the end of 2021, so you won’t run into any compatibility issues with the core WordPress software when using the Classic Editor. First things first – we do not recommend avoiding WordPress 5.0 altogether in order to keep the old editor. Updating your site is vital for its security and performance. Plus, the new version brings with it other improvements and additions unrelated to the block editor. Instead, you should install the Classic Editor plugin. This was created by the core WordPress team as an alternative to the block editor, and will be maintained and updated for a few years yet. You can install Classic Editor just like any other plugin. Once activated, you’ll use the Classic Editor exactly like you did prior to upgrading to WordPress 5.0. Here, you can select which editor will be the default for all users on your site. This lets you temporarily switch over to the new editor if you like. You can also decide whether to let users switch editors, which is handy if you have a team where everyone has their own preference. If you hover over a page or post title after choosing the latter option, you can open it in either editor. Just keep in mind that it may be harder to maintain a consistent visual look if you let people create content in both editors. If you ever want to switch over to using the new block editor on a permanent basis, you can simply deactivate and uninstall this plugin. However, as before, we’d suggest testing the new editor on a staging site first. Finally, if you do decide to install the Classic Editor plugin, we’d recommend doing so before updating to WordPress 5.0. This will ensure a more seamless experience. It also eliminates the potential for compatibility or formatting errors arising in the brief window that the block editor is active on your site. Regardless of whether you’ve been looking forward to WordPress 5.0, the wait is finally over. Your only decision is to decide how you want to move forward on your site. While we definitely recommend updating as soon as possible, whether or not you use the new block editor is up to you. The new editor can be a more intuitive and comprehensive editing experience, and may be a good choice for those who haven’t made a lot of custom changes to their sites already. On the other hand, if you find the new editor distracting, already use a page builder, or are worried about compatibility errors, you can keep using the previous WordPress editor by installing the Classic Editor plugin. 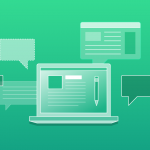 Do you have any questions about the new editor, or WordPress 5.0 in general? Ask away in the comments section below!